One of my friends has a habit in prayer to ask God to send the right people. When he prays for someone, he often asks that God will send the right people to bring the help and support that is needed for that person. I feel like this is very similar to what Jesus is telling us to do in today’s Gospel. Jesus tells us to ask. 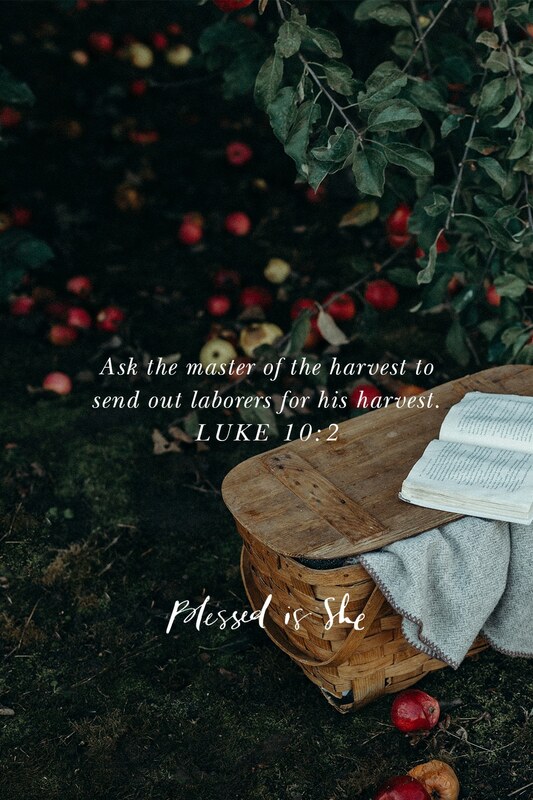 He says, “Ask the master of the harvest to send out laborers for his harvest.” (Luke 10:2) Jesus wants us to ask His Father to send us good people. He wants us to ask in prayer for more people who will work, help, and bear fruit in God’s Kingdom. We need to ask for the right people to come. We need to ask for good devoted people to come into our lives, communities, and the Church. We need more friends of God who are willing to work for the Kingdom and extend the love and peace that comes from union with Christ. Today we celebrate the feast of Saint Luke, a man whose friendship with God now includes him among the Saints. He was a physician, historian, artist, and evangelist who penned a Gospel account as well as Acts of the Apostles. Saint Luke was a disciple and friend of Saint Paul, and they traveled together as faithful “laborers for his harvest,” proclaiming God’s Word and bearing fruit for the harvest. Let us ask God to send us the friends and good people that we need in our lives, in other people’s lives, and in the Church. May each of us, too, be a faithful laborer, Saint and friend of God who is likewise willing to bear much fruit for the Kingdom. May each of us be a faithful laborer. Ask God to send you the good people that you need in your own life and your friends’ lives. Ask Him what kind of work you can do. Previous Post How Does God Value Me? I LOVE this idea of praying for God to send the right people! ? Thank you for this scripture reflection. I often forget that God shows Himself to us in the faces of many different people. How many times a day do we look into the face of Christ and not recognize Him? I’m sure I do it quite often. What a beautiful reflection. Isn’t it amazing how God loves us so much that he wants us to labor with Him in reaching out to others? If we can’t physically go ourselves we have the authority in the name of Jesus to send those He chooses. We are truly His friends and we carry His heart of love. My husband and have felt lead to pray this way for the last two weeks. I thank the Lord for confirming to me through this reflection we are in His will.